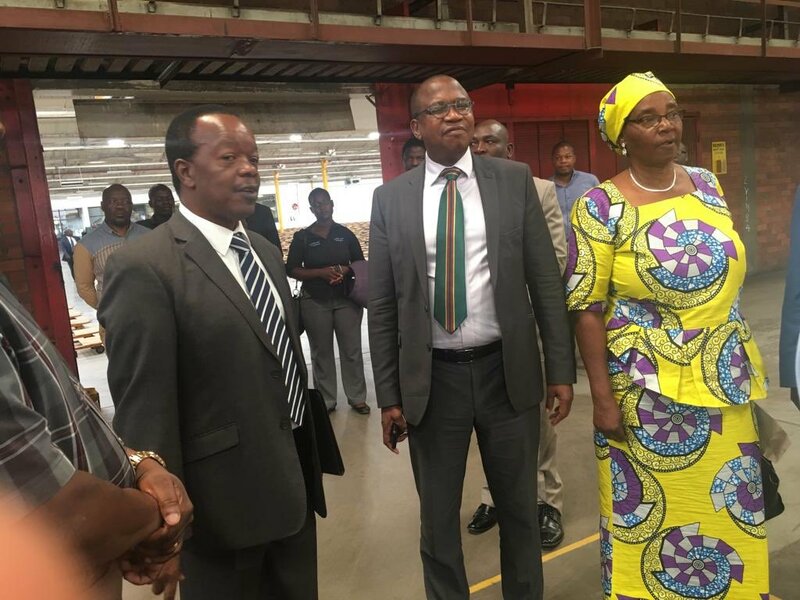 Government has assured tobacco farmers and merchants that it will look into issues affecting them to ensure a smooth marketing season, Finance and Economic Development Minister Professor Mthuli Ncube has said. He toured the tobacco auction and contract floors yesterday and said farmers expressed disappointment at the low prices they were getting, while contractors were concerned with tax rates. Prof Ncube said he was impressed with the organised tobacco marketing system. “Farmers are concerned about the prices which they feel at this stage are low,” he said. “The prices always start a bit low, but improve with time. The delays in the delivery of the crop for sale may be a strategy to maximise their returns. Prices will get better and farmers should hang in there. I think they will have a good season considering the current exchange rate on the market. “The earnings should be good in domestic currency for farmers.” The interbank exchange rate yesterday was at US$1:3,012 RTGS. “The farmers have also made it clear that they do not want the two percent tax to affect their earnings and I have accepted quickly and have removed the tax because we want the maximum benefit to go to farmers as they are our foreign currency earners,” said Prof Ncube. “This will go a long way in putting that extra dollar in the farmers’ pockets.” Minister Ncube said farmers were getting their money in RTGS and getting 50 cents per kilogramme cash for the RTGS and 10 cents per kilogramme hard cash. Prof Ncube said contractors were complaining about the entire merchant tax and the Value Added Tax (VAT). Contractors complained of payment process complexity and farmers’ access to foreign currency. They said exporting companies were availed a lower corporate tax structure based on the percentage level of exports with those exporting above 51 percent given a corporate tax rate of 15 percent. Northern Tobacco managing director Mr Glen Youngs said some of the tobacco merchants in their industry outsourced the processing of their tobacco to third party processing plants on a toll manufacturing basis. “The tobacco merchant retains ownership of the tobacco and once processed or manufactured, the tobacco merchant exports well in excess of 51 percent of the manufactured tobacco,” he said. “We have engaged ZIMRA in this regard and have been advised that only tobacco merchants that own the tobacco processing plants are entitled to the special rate of income tax. It is on this basis that we appeal for tobacco merchants that outsource the processing of their tobacco to retain ownership of the processed tobacco which is exported to benefit from the special rates of income tax for the above special rates of income tax or exporting manufacturing corporates,” he said.